PowerArchiver 12.00 RC1 0 out of 5 based on 0 ratings. * UAC Compatibility with Vista and Windows 7 -- first archiver to completely integrate with Windows 7 and Vista, and offer true support for User Account Control (UAC). Do you want to compress or extract to folders that only Administrator can? No problem anymore -- PowerArchiver 2011 will elevate itself to Administrator user, first archiver to do so. * Full VSS support in Windows XP, Vista and Windows 7 -- need to compress files that are locked? Databases, Outlook emails, anything that is locked by Windows and not compressible by any other compression utility? PowerArchiver 2011 is first compression utility to utilize Volume Shadow Copy (VSS) and enable you to compress any file on Windows XP, Vista and Windows 7. * Faster startup -- We looked hard and optimized startup time for PowerArchiver 2011. Registered users will see at minimum 0.5s difference between older versions, and users with slower computers will see much bigger differences. * Edit multiple files -- Edit and Update unlimited number of files inside archives. PowerArchiver will continuously monitor all files you have opened for any changes. * Patchbeam Update System -- Get latest version via 2 second updates, made possible by our Patchbeam update system. * Save and Restore Settings - Easily Import and Export PowerArchiver settings. * Improved shell extensions -- ability to split tools into separate shell extensions, added special compress to zipx shell extenion. * Improved File Manager -- now with breadcrumb bar for easier navigation, as in Windows 7. * Better support for large DPI -- PowerArchiver 2011 windows and dialogues now automatically adjust to larger font DPI. * Faster Unrar -- Have many RAR files? PowerArchiver 2011 has fastest unrar engine on the planet, 10% faster than WinRar 4.0. * Improved ZIP support - Better handling of ZIP files with foreign filenames, faster large archive compression. * Better TAR support -- You can now compress and extract TAR files over 4 GB in size, and do it faster than ever before. PowerArchiver can also now compress and extract tar.xz format. * Better ISO support - Extract UDF ISO’s, in addition to Extracting ISO9660 files, not only that but it is now up to 2x faster than before. You can also create both UDF (unicode and over 4GB) and ISO9660 files. * Better 7-zip support -- Create and Extract LZMA2 archives. * Better LHA support -- better support for compressing and extracting LHA/LZH archives. * Added support for extracting multiple new formats: MSI, NSIS, CHM, DMG, RPM, CPIO, VHD, XAR, LZMA, SquashFS, CramFS and WIM. * Completely new Secure FTP client - Our FTP client has been rebuilt from grounds up, everything is 100% new. * Secure protocols added -- Added support for SFTP, FTP with SSL and FTP with SSL/TLS protocols. * Integration with PowerArchiver -- Upload files from archives to FTP and Download them directly to archive, without needing to unpack anything! * Multiple tabs -- Tabbed interface for multiple server connections. * Quick ZIP and Send -- Single button click zips (your choice of formats) and uploads selected file. * Edit and update files - continuously track multiple edited/opened files and update them as needed. * Bandwidth Limiter -- limit bandwidth used with easy and visible option. * Ribbon interface -- first FTP client with Microsoft Office licensed ribbon interface for easier use (optional). * Advanced Queue system -- with multiple transfers and global transfer limits. * Unique Folder queuing -- are you uploading/downloading complete folder? FTP client will have to login only once for faster uploads/downloads. * Disconnect or shutdown -- After queue is completed, you can set it to disconnect from the server or even shutdown your computer. * And much more -- Proxy, SOCKS, Advanced Overwrite options, and more! * Standalone Interface -- From version 2011, you can start Burner standalone, without starting PowerArchiver. * Copy Disc to Disc directly -- You can now copy directly from Disc to Disc (CD, DVD, BluRay). * UDF support -- Full support for UDF disc format that supports burning files larger than 4 GB and unicode filenames. * Improved Shell Extensions -- Mount and unmount Virtual Drives from shell extensions directly. * Persistent Virtual Drives -- Mount Virtudal Drives persistently so they stay mounted even after computer restart. * Close tray option -- Automatically close tray after burning is done. 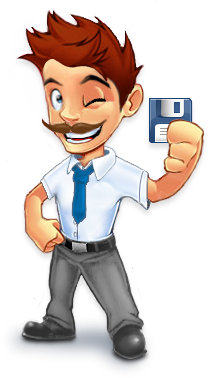 * Full VSS support -- Backup any file on Windows XP, Vista and Windows 7, without having to worry if something is using it. With this feature, PowerArchiver Backup becomes Enterprise class Backup tool that can compress any database on your computer. * Secure FTP support -- backup to SFTP, FTP with SSL and FTP with SSL/TLS secure ftp servers. * Better Burning support -- backup larger files and close disc tray after burning is done. * Improvement in speed -- faster backups for larger files.